Thank you to everyone who participated in this months Stamp Release Blog Hop. This months winner is... Lori from Live-Love-Laugh-Create 2! Congrats Lori! You've won a stamp set of your choosing! 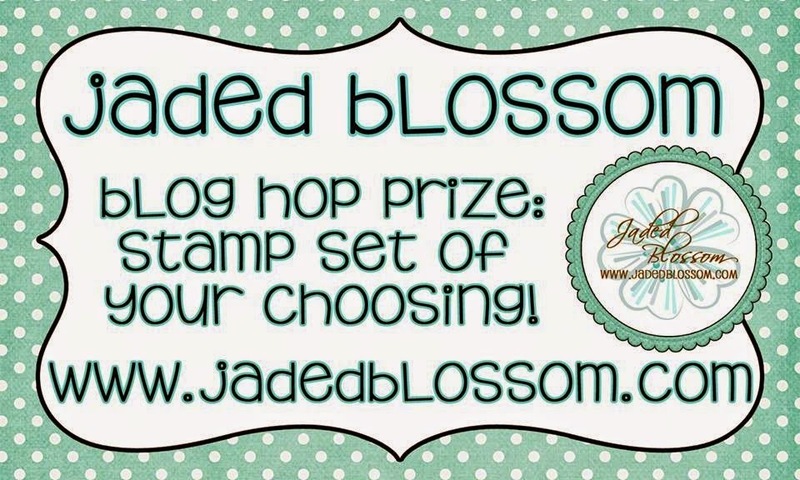 Please email us at admin@jadedblossom.com with your stamp set of choice and mailing address. Congrats Lorie. Have fun with your JB goodies.